The ACLU of Washington would love to hear from organizations that have or are planning to roll out either Tor relays or the Tor Browser. Supporting Tor is part of our work advocating for privacy, access to information, and free speech. Tor, a free and open source software project designed to protect its users from network surveillance, is an important tool for individuals and organizations looking to defend their digital freedoms. It is used in a wide variety of contexts throughout the world by activists, journalists, and ordinary people. 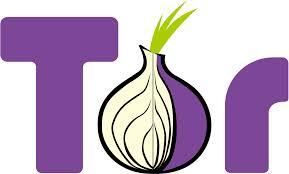 The Tor network relies on server nodes known as “Tor relays” to route the encrypted traffic of its users. Tor relays are hosted throughout the world by organizations and individuals who believe in its privacy-protecting mission. By design, Tor is a distributed system that requires diversity and volume to best protect its users. Tor relays need to be run by people who ethically and technically understand Tor’s benefits. To best serve the Tor network, many relays are needed and should be run by as many types and sizes of organizations as possible. We want to contribute to the development of a freely available organizational policy that organizations of all shapes and sizes can use to further their own Tor advocacy and management. Recently, a small New Hampshire library was pressured by the Department of Homeland Security regarding its decision to host a Tor relay. Thanks to the library staff’s commitment to intellectual freedom and the hard work of the Library Freedom Project, the government’s attempts at intimidation failed. This incident has reemphasized the important role that diversity and de-centralization play in supporting technologies like Tor, as these strengthen its resilience against governmental coercion. Historically, a lot of emphasis has been placed on convincing individuals to run relays. While this is critically important work, it is also important that organizations with stable Internet infrastructure and IT support contribute to Tor’s diversity. With the additional infrastructure and expertise that comes with organizational support of Tor come complex policy and implementation questions. The ACLU of Washington recognizes the need for organizational policy, procedures, and documentation to best maintain Tor relay servers and Tor Browser for local clients. To that end, we plan on working with other organizations to develop models for these policies in order to encourage additional support for Tor. If you are an organization interested in deploying Tor relays or Tor Browser into your IT environment, or have already done so, we would love to hear about your experiences. Please contact us at tor-feedback@aclu-wa.org.